This awesome giant soccer darts game is a great way to entertain a crowd of any size, from kids to adults. 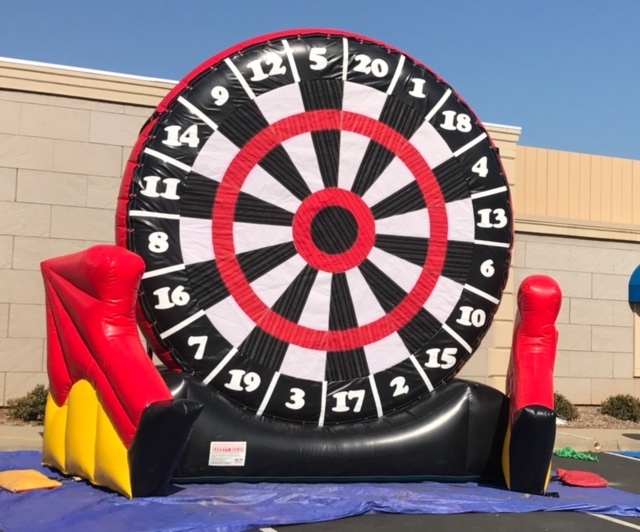 Everybody enjoys a friendly dart game, so we scaled it into a huge inflatable soccer darts and gave a twist to the inflatable games in Nashville. To let the fun begin, all you have to do is call out one of your friends and challenge them to a soccer darts game, each of you will get 3 turns to kick the balls to the inflatable darts board and try to collect as many points as possible, the player with the highest score wins the game. Add it to obstacle courses, inflatable slides and any other interactive game to entertain your guest for hours. 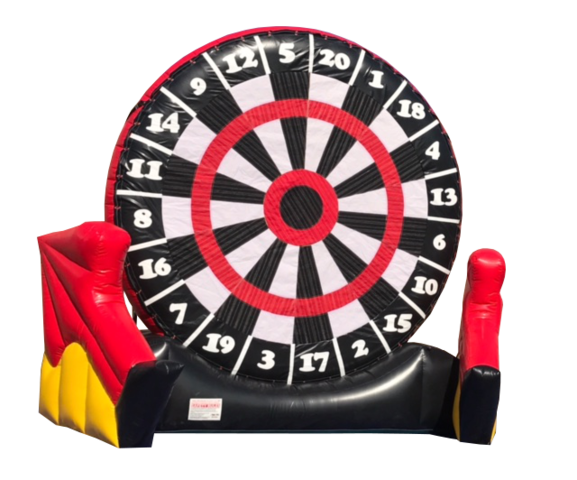 This giant game is a great choice for company picnics, church events, fall festivals or school events.